Since the initial release of Modern Warfare in 2007, Call of Duty has been a franchise Juggernaut. Year after year sales have proven the demand this series has created. Even a three year old game like Black Ops II still has 12 million users per month. So where does a company take a series that has a yearly release window? Treyarch, the developer behind Black Ops III has gone for refinement over reinvention. The game is smooth, beautiful, tactile, and engaging. It isn’t Battlefield, Destiny, or Counter-Strike, it’s Call of Duty. And it’s the best one yet. 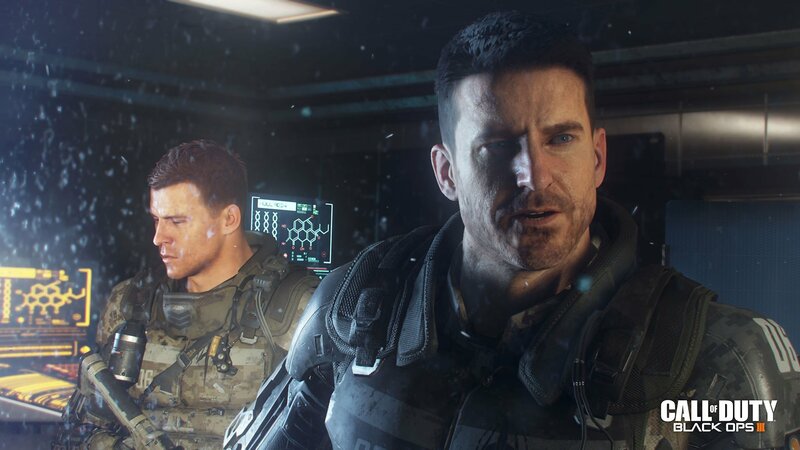 There’s a ton of new content in Black Ops III. The Campaign has online four player co-op, Multiplayer introduces Specialists, and Zombies adds Gobblegums and weapon kits. Gamers who picked up the Day One edition also get Nuketown which is just as fun as in earlier games. The biggest impact that Black Ops III delivers is in its visuals. 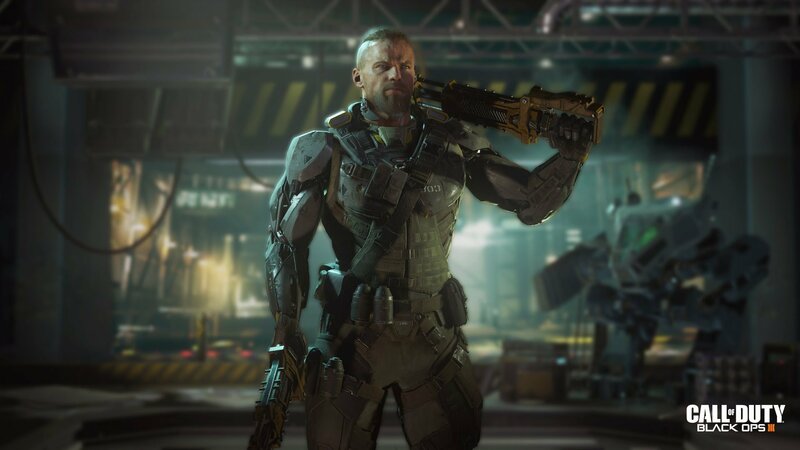 Treyarch said they developed Black Ops III for next generation hardware, and it shows. Character animations are fluid, and in some cases border on realistic. Player movement feels great at 60fps, and the graphics are just stunning. It’s understood that AAA games are going to have day-one updates that gamers have to download to make the game playable online. Then the game itself needs to install resources to the hard drive so that the game can run smoother. It’s understandable to wait for those initial load times, but when there’s a new update every day, it gets kind of ridiculous. In the first two weeks, every day I had to wait for the game to download an update. There’s nothing more frustrating than being ready to play and having to sit and stare at the TV while the game downloads another update. The Campaign in Black Ops III shows off the power of storytelling and the next generation visuals gamers have come to expect. There are “wow” moments in the story that strike more on the beauty of the scene than the content, and the motion capture is done to great effect in the game. The actors really bringing depth to the characters. There are times where it can feel like going from point A to point B while shooting a bunch of enemies, but more times than not the Campaign will engage players with the diversity of its level design and the types of missions players will go on. Customization is key as the campaign’s full of options. After choosing how the main character will look and going through the training levels, players can unlock special abilities and different weapon customizations to fit their playing style. There are three different skill trees to unlock, and each bring a different playing style to the mix. There’s also an enhanced optics feature that shows threats and hot zones on the battlefield. It can be turned on or off, and turning it off gives a more classic feel to the game. Either way it gives gamers the option to play how they want. Even though every level is technically unlocked from the start, it doesn’t mar the experience. Playing through the Campaign linearly brings the best output, but having the option there to jump in with friends is smart too. I think most people will play it linearly, but for the few that play mainly Zombies or Multiplayer and want to experience it with friends, that option makes it accessible. 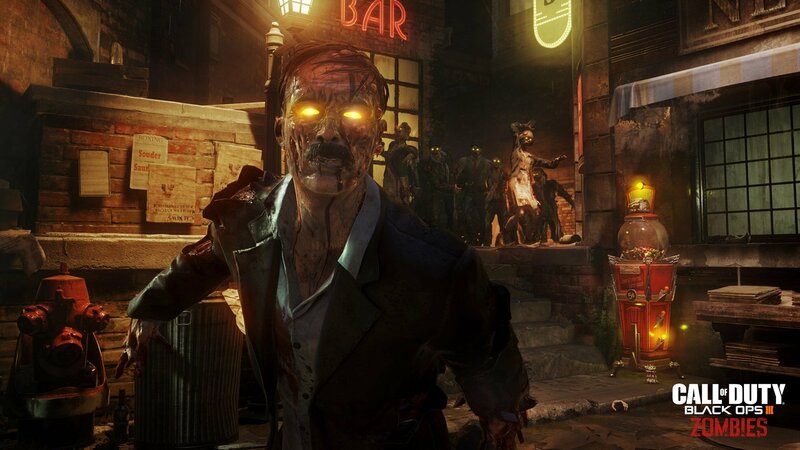 Zombies is something that started as a bonus mode, but over the years it’s grown in popularity to the point where it has turned into a “third pillar” for Treyarch. Zombies in Black Ops III only comes with one map, “Shadows of Evil,” but it’s a robust map and has a lot of areas to explore. The randomization of mystery boxes and other items help add to the replay value. There is a second map entitled “The Giant” that’s only available to players who purchased the Collectors Edition. The world Treyarch created in Morg City for “Shadows of Evil” is beautiful. The developer had the time to refine the Zombies game mode over the years so the movement and mechanics of Zombies is top notch. Everything from the sounds of running through the streets to the satisfying thunk of stabbing zombies and lining up Pack-A-Punch Weapon headshots create a great atmosphere. As the rounds add up, the difficultly curve of the zombies ramp up appropriately. Black Ops III introduces a new system for weapon customizing in Zombies. Just like in multiplayer, players level up in Zombies mode. These tiers unlock new Gobblegums and the ability to customize different guns. Once unlocked, the guns can be leveled up by using them in the game. As the guns level up, they unlock different attachments and camouflage patterns. It adds that personalized touch that taking a gun off the wall can and will be a player’s favorite version of that gun. Zombies mode itself is fun, but one of the frustrating things was its problems with matchmaking. I had to back out of Zombies matchmaking more times that not because after calculating the first fifteen matches it would just sit there. I would have to exit the lobby then re-enter for the chance of finding a party to join. Matchmaking issues aside, once in-game, Zombies was a solid experience. Multiplayer has always been the shining star of the Call of Duty franchise and this year Treyarch has added some major changes to the experience. The biggest change is adding Specialists to the mix. There are nine specialists in the game, four that are available from the outset, and each of them bring a new strategy to the battle. Every specialist can use a weapon or an ability. Some of the weapons range from Ruin’s Gravity Spikes (pictured above), that land an area attack on opponents, to a Crossbow, Mini-Gun, Flamethrower, and even H.I.V.E. which is a pod launcher that releases traps of nano-bots. The abilities grant different advantages, like Spectre’s invisibility camo, Reaper’s clones, Outrider’s close range sonar, and even Nomad’s ability to rise from the dead. The recharge rate is paced out enough so that weapons or abilities can be used twice, maybe three times in a match. That means if its not used at the right time it could be wasted. It also locks in per match so committing to an ability determines how a player would play that match. The Specialists add an extra layer to the game which brings more variety to the standard multiplayer formula. The same Pick 10 loadouts are back from Black Ops II which means that guns, Scorestreaks, perks, and Wild Cards all go towards the allotted ten spots for items. It’s a good trade-off as it keep the loadouts balanced and really makes players think about which attachments or perks they want to take to the battlefield. The token system is also back. Tokens are given to players each time they level up and those tokens can be used to unlock guns and items once they become available. Another addition to the game this year, including multiplayer, is wall running, power slides, and extra jumping with thrusters. The movement in Black Ops III is solid and wall running especially feels tactile and the power slides are great at closing distance between players and the enemy. The multiplayer maps have a good amount of diversity in them, with places to wall run and rooftops to jump across, but one of the frustrations I came across when I first started playing was with the small buildings. Technically with the thrusters characters are able to fly as high as the tops of the singe story buildings, but they hit an invisible wall and fall back to the ground. For a game this detailed, it really breaks the initial illusion of ability and mobility that Treyarch has created to not be able to access something that these characters would logically be able to access. Overall, Call of Duty: Black Ops III is an excellent shooter. Even with the frustrations in matchmaking, constant updates, and level issues it’s easily the best shooter in the franchise. With an engrossing Campaign, a customizable Multiplayer, and an addictive Zombies mode, Treyarch has built the complete package delivering a game that’s bursting at the seams with value.